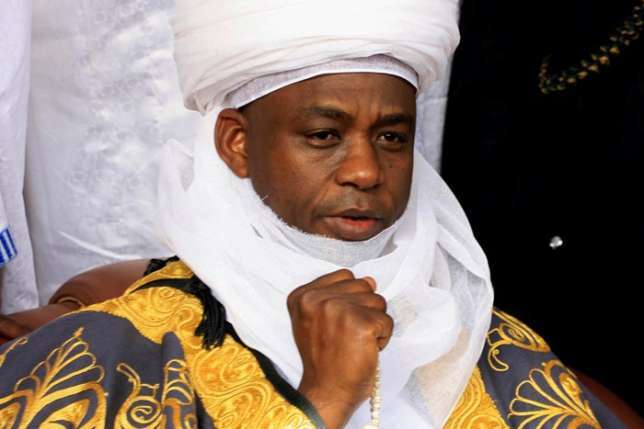 The Sultan of Sokoto and President General Nigeria Supreme Council for Islamic Affairs (NSCIA) Sa�ad Abubakar, has expressed worry that Nigerians has become more divided politically ahead of the next general elections in 2023. He noted: �If Nigeria has these troubles in 2019 then, I have my fears over 2023. The signs are already on ground. �Brothers no longer talk to each other. Friends are now divided in a very terrible way because they have been insulting one another before the election. Neighbours now hate each other because they belong to different political parties,� he added. He stressed: �We that are religious leaders, have to be careful of what we tell our followers because most of them are not educated and will take whatever you say as true. �Prior to 2019, you have heard and seen the Muslims and Christians leaders preaching things that you find it difficult to respond to. �We should ask ourselves why have things changed that way? Is it because of the greed of our religious leaders who collect monies to preach their support for a particular candidate? Let�s try to discourage that, because the religion preaches love for all. �2019 election has come and gone. Though there are court issues here and there but let us begin to plan ahead of 2023 on how to ensure that we have leaders that are our choice and not those that are forced on people. �So let�s begin to plan on how to ensure peace and peaceful coexistence before, during and after the general elections. �Let�s work towards peace and having a society where everybody is free to coexist in peace. Let start working on our challenges from now by trying to collectively decide to do what is right,� the royal father added. He tasked religious leaders: �I want you to go back to your closet and ask yourself what you have done in using your influence to preach to people on the need for peace and allow the will of God to prevail. �If the true teachings of Islam are shown to the world, those having misconceptions about the religion would have a change of heart,� he stated.